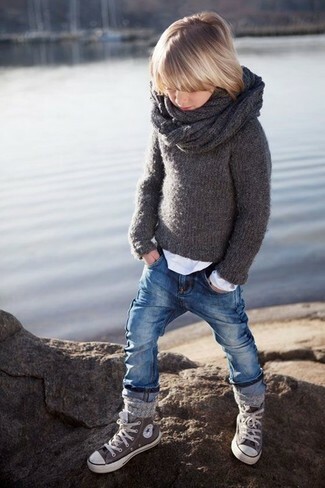 Choose a white sweater and black jeans for your little angel for a fun day in the park. This outfit is complemented nicely with Converse all star high top sneaker from Nordstrom. 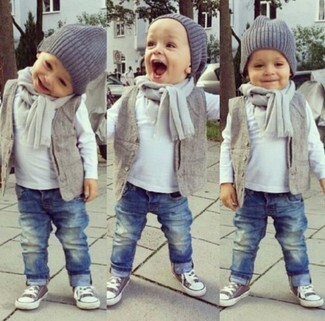 Suggest that your kid reach for a grey cardigan and blue jeans to create a smart casual look. 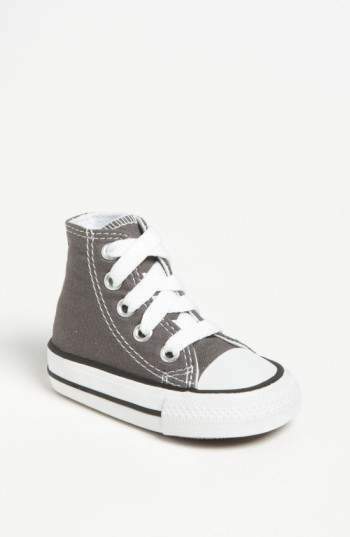 As far as footwear is concerned, suggest that your little man throw in a pair of Converse all star high top sneaker from Nordstrom. This combo of a grey waistcoat and beige shorts will look super cute on your son. 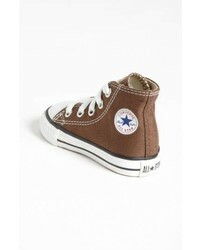 Converse all star high top sneaker are a wonderful choice to round off this style. 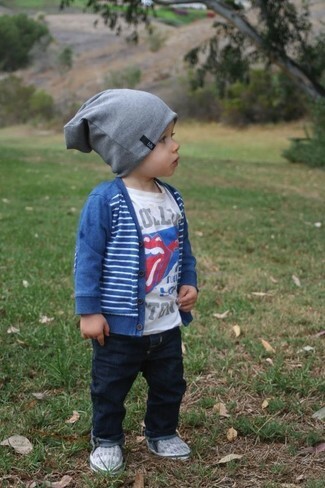 This combo of a grey waistcoat and blue jeans will look uber cute on your little man. Finish off this look with Converse all star high top sneaker from Nordstrom. 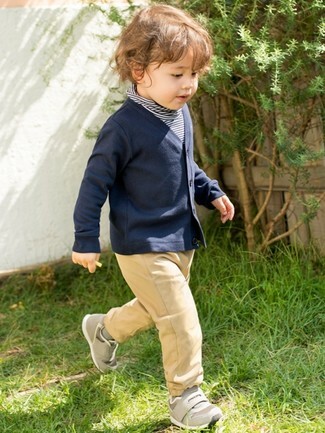 Reach for a navy horizontal striped sweater and tan trousers for your son to get a laid-back yet stylish look. Converse all star high top sneaker are a nice choice to finish off this look. Reach for a charcoal sweater and blue jeans for your kid for a fun day in the park. 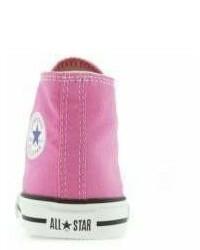 As far as footwear is concerned, suggest that your kid throw in a pair of Converse all star high top sneaker. Suggest that your little guy wear a pink t-shirt and white shorts for a fun day in the park. Converse all star high top sneaker are a great choice to finish off this style. For an everyday outfit that is full of character and personality suggest that your tot wear a blue cardigan and navy jeans. 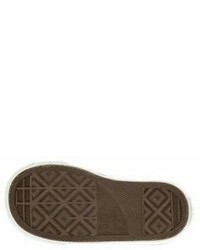 This style is complemented really well with Converse all star high top sneaker. 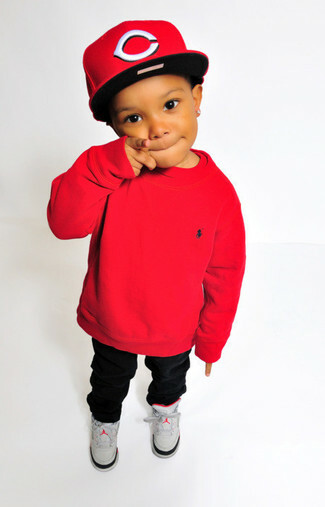 Suggest that your tot team a red sweater with black trousers for a comfortable outfit that's also put together nicely. Converse all star high top sneaker from Nordstrom are a nice choice to complement this outfit.